Each of our academic departments has a different focus, but all are dedicated to providing you with the best education possible. You’ll spend your time here learning from the best, and graduate ready to succeed in whatever field you choose to pursue. The Health Sciences department offers a number of academic programs that prepares you for a wide range of health-related professions. 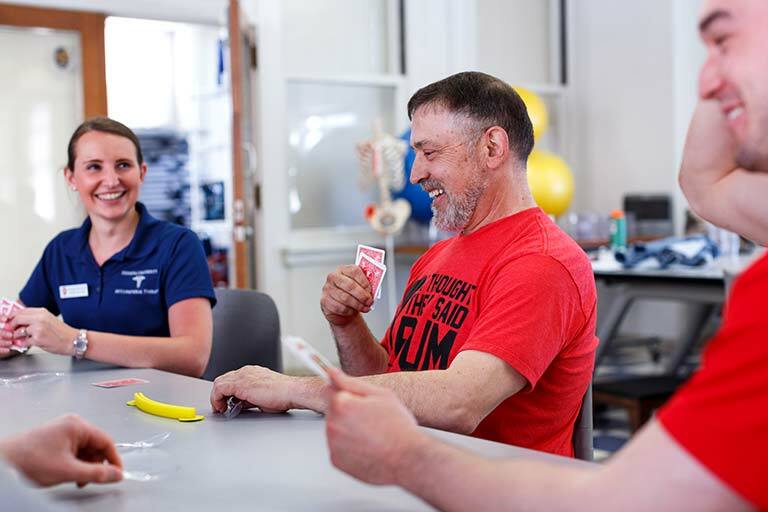 The Kinesiology department offers a variety of academic programs that prepare you to become a physical and occupational therapist, health and wellness instructor, or physical education teacher. The Military Science department prepares you to lead and become an officer in the army as a member of the Capital Warrior Battalion of the Army ROTC at IUPUI. The Nutrition and Dietetics department will teach you about the science of food and the way our bodies digest and use it as you work toward certification as a dietitian or get advanced training in the field. The Occupational Therapy department prepares you for a career helping people with developmental, environmental, mental, or physical challenges gain the skills needed to participate more fully and independently in their own lives. The Physical Therapy department prepares you to become a physical therapist who helps people with medical or health conditions regain movement and function and manage their pain. The Physician Assistant Studies department offers you the medical education you need to function as a primary patient care provider in a variety of settings. The Department of Tourism, Event, and Sport Management offers a number of academic programs that prepare you for hundreds of career possibilities, from directing corporate events to overseeing music festivals or managing a major hotel.